The Secret Science Club: Think again! The Secret Science Club presents Leonard Mlodinow and SUBLIMINAL, Thursday, April 26, 8 PM @ the Bell House, FREE! Think again! The Secret Science Club presents Leonard Mlodinow and SUBLIMINAL, Thursday, April 26, 8 PM @ the Bell House, FREE! 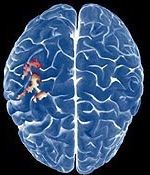 A large portion of your brain is devoted to unconscious activity. Bombarded as you are by 11 million bits of sensory information per second, it’s just more efficient for many neural processes to take place automatically. For example, you don’t decide something looks green or tastes sour—you just get the message that it is. However, as scientists continue to learn about the brain, they are discovering that hidden mental processes may be far more influential than previously suspected. In his latest book, Subliminal: How Your Unconscious Mind Rules Your Behavior, physicist and best-selling author Leonard Mlodinow probes the brain’s most mysterious territory. --What types of (tricky) new experiments and technologies are neuroscientists and psychologists using to explore unconscious processes? --How accurately do you perceive yourself and your motives? What really influences your choices? Does your order-loving conscious mind ever create cover stories to explain unconscious decisions? --What are emotional illusions? How reliable and malleable are your memories? Do you ever unconsciously confabulate? 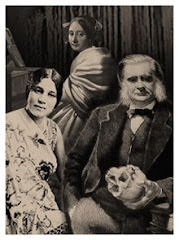 This cerebral edition of the Secret Science Club meets Thursday, April 26 at 8 pm @ the Bell House, 149 7th St. (between 2nd and 3rd avenues) in Gowanus, Brooklyn. Subway: F or G to 4th Ave; R to 9th St. Doors open at 7:30 pm. Please bring ID: 21+. No cover. Just bring your smart self!